Today I was reminded that when I did the redesign in March, I had planned to do a separate page for all the wonderful awards I have received over the years. Well I have not done that, but will get on it in the next week. You see, I received a tremendous award from a special lady. 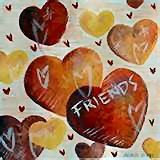 PATTI from "Late Bloomer Boomer" writes a fun blog. It is filled with her cats Rigby and Linus, her son and daughter, the world she lives in OH and her husband, the equally as fun RALPH from "Airhead 55"
We all feature meme's created by the unstoppable MARY from "Work Of A Poet" and Patti received the following award from Mary. She then passed it along to lil ole me and I am flattered. “These blogs are exceedingly charming. TURNBABY from "And As The World Turns". Each and every one of these people are out here in this incredible world of blogging to share their lives and adventures. Whether they post once a day or once a week...whether it is serious content or whimsical cartoons, you will always walk away from their blogs with something. What's happening in the world of MUSIC!?! The all-female string quartet ESCALA will land stateside on June 23rd with the release of their self-titled debut album on Columbia Records. Produced by Grammy Award-winning producer and legendary musician Trevor Horn ( Cher , Seal, Paul McCartney, Pet Shop Boys, Charlotte Church), the album fuses contemporary music with classical instruments to create a fresh and innovative sound. ESCALA's debut album features the quartet's renditions of recognizable songs from a broad cross section of artists and musical genres. Songs include Led Zeppelin's "Kashmir" (featuring Slash), "Live and Let Die" by Wings, "Chi Mai" theme by Ennio Morricone and ESCALA's signature tune "Palladio". ESCALA are: violinist Victoria Lyon (the great-great-grand-daughter of the renowned 19th century opera singer Jenny Lind), violinist Izzy Johnston, viola player Chantal Leverton and cellist Tasya Hodges. All four women studied at prestigious London music colleges on their way to becoming highly trained, professional classical performers. Recruited as part of a large string ensemble for a UK arena tour, the four women became close friends and after performed in front of 14 million viewers on Britain 's Got Talent 2008 final. A short film for Bob Dylan’s "Beyond Here Lies Nothin'" has been filmed by AFI and Sundance Film Festival award winning director Nash Edgerton, and can be seen exclusively on the IFC Channel and also at IFC's online site HERE, beginning yesterday, Tuesday, May 12. “Beyond Here Lies Nothin’” is the first single from Bob Dylan’s Together Through Life, which debuted at #1 on Billboard’s Top 200 chart last week. 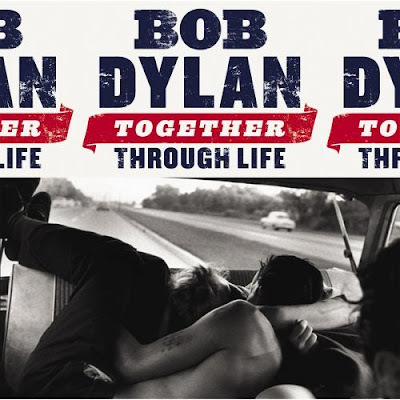 Released on Tuesday, April 28, Together Through Life is the artist's first full-length studio album since 2006's platinum-certified Modern Times, which also debuted at #1 on the Billboard Top 200. Produced by Jack Frost, Together Through Life, was recorded late last year, prompted by the composition of a new song, "Life Is Hard", which was written for a forthcoming film by French director Oliver Dahan (La Vie En Rose). 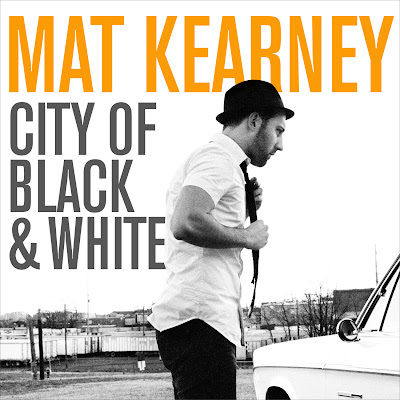 After spending five years traveling the country establishing himself as a new artist, Mat Kearney dug his roots into his new hometown of Nashville , TN , allowing the songs on City of Black & White to evolve from various places and sources. He opened up the writing process to friends and to the community of musicians in Nashville , and crafted songs such as “Fire and Rain", “Here We Go", and “Closer To Love”. Mat Kearney also announced a series of summer headline dates in support of his new album. Kearney is about to embark on a tour with England ’s own Keane, including a sold out show at Radio City Music Hall in New York . Mat will be hitting the new venue here in Memphis, Minglewood Hall on July 15th. Hoping to get to the show and possibly pick up an interview opportunity. A string quartet surrounded by disco balls...Such an odd juxtaposition. Cheers Vinny!! Mat Kearney is pretty damn awesome. And Green Day is seriously awesome =) Kidlet is uber jazzed. Your words, whether original or not, are very kind, my friend. Thank you! As for Dylan? Well, I just can't do Dylan. I can't. I've tried, but I can't. That voice....argh! Congratulations on a well deserved award. I might buy that quartet album just for the photo. WoooHooo! Cograts on your award a big thanks for passing it on to me! I appreciate it. I can't wait for the Green Day CD! **blinks** Me? Another award? Thanks for thinking of me dear man! Heaven help us all if something happens in the next few days and Green Day's release is delayed. There's no telling what Starrlight will do. Congrats to all and to you! Patti and Ralph are awesome people. Awww thank you sugar! and did I also mention NEW GREEN DAY !!! NEW GREEN DAY!! NEW GREEN DAY!!! Congrats on the award Bond - well deserved! YAY for new Green Day!! I'm making some rounds while I can. Thanks for the shout...both times! Since you were kinda responsible for my joining this most excellent community, along with a couple others, I definitely appreciate the recognition. Finales next week are gonna be good. Congrats on all the awards. I won one once when I was at Smith's Lane. Mrs. Granofsky gave me one for "Hall Patrol Student of the Week." Congratulations on your much deserved award,and thank you for introducing us to some more great bloggers! That's a great award congrats Vin! thank you vincent...I am touched.